These Nautical Neon Signs are 100% made by hand and use only U.L. listed transformers. All neon signs come with a one year warranty. 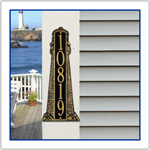 If it is a custom sign that you are looking for, you have surfed to the right section. Here you can order your neon sign custom-made to suit your needs. Flashing neon sign designs available. Create your very own nautical neon sign using one of the styles listed below. Custom Anchor Design Oval Neon Indoor Sign. Oval style neon sign with flashing motion, comes with a control switch on/off flasher option. Custom Flashing Neon Indoor Sign Dimensions: 17''H x 30''W. Custom Sailboat Design Oval Neon Indoor Sign. Oval style neon sign with flashing motion, comes with a control switch on/off flasher option. Custom Flashing Neon Indoor Sign Dimensions: 17''H x 30''W. Custom Yacht Design Oval Neon Indoor Sign. Oval style neon sign with flashing motion, comes with a control switch on/off flasher option. Custom Flashing Neon Indoor Sign Dimensions: 17''H x 30''W. Custom Beach Scene One Line Design Oval Neon Indoor Sign. Oval style neon sign with flashing motion, comes with a control switch on/off flasher option. Custom Flashing Neon Indoor Sign Dimensions: 17''H x 30''W. Custom Beach Scene Two Line Design Oval Neon Indoor Sign. Oval style neon sign with flashing motion, comes with a control switch on/off flasher option. Custom Flashing Neon Indoor Sign Dimensions: 17''H x 30''W. Custom Beer Mug Design Oval Neon Indoor Sign. Oval style neon sign with flashing motion, comes with a control switch on/off flasher option. Custom Flashing Neon Indoor Sign Dimensions: 17''H x 30''W. Custom Bicycle Design Oval Neon Indoor Sign. Oval style neon sign with flashing motion, comes with a control switch on/off flasher option. Custom Flashing Neon Indoor Sign Dimensions: 17''H x 30''W. Custom Bikini Girl Design Oval Neon Indoor Sign. Oval style neon sign with flashing motion, comes with a control switch on/off flasher option. Custom Flashing Neon Indoor Sign Dimensions: 17''H x 30''W. Custom Crab Design Oval Neon Indoor Sign. Oval style neon sign with flashing motion, comes with a control switch on/off flasher option. Custom Flashing Neon Indoor Sign Dimensions: 17''H x 30''W. Custom Crocodile Design Oval Neon Indoor Sign. Oval style neon sign with flashing motion, comes with a control switch on/off flasher option. Custom Flashing Neon Indoor Sign Dimensions: 17''H x 30''W. Custom Dolphin Design Oval Neon Indoor Sign. Oval style neon sign with flashing motion, comes with a control switch on/off flasher option. Custom Flashing Neon Indoor Sign Dimensions: 17''H x 30''W. Custom Fish Design Oval Neon Indoor Sign. Oval style neon sign with flashing motion, comes with a control switch on/off flasher option. Custom Flashing Neon Indoor Sign Dimensions: 17''H x 30''W. Custom Fishing Design Oval Neon Indoor Sign. Oval style neon sign with flashing motion, comes with a control switch on/off flasher option. Custom Flashing Neon Indoor Sign Dimensions: 17''H x 30''W. Custom Fishing with Boat Design Oval Neon Indoor Sign. Oval style neon sign with flashing motion, comes with a control switch on/off flasher option. Custom Flashing Neon Indoor Sign Dimensions: 17''H x 30''W. Custom Frog Design Oval Neon Indoor Sign. Oval style neon sign with flashing motion, comes with a control switch on/off flasher option. Custom Flashing Neon Indoor Sign Dimensions: 17''H x 30''W. Custom Hammock Design Oval Neon Indoor Sign. Oval style neon sign with flashing motion, comes with a control switch on/off flasher option. Custom Flashing Neon Indoor Sign Dimensions: 17''H x 30''W. Custom Hermit Crab Design Oval Neon Indoor Sign. Oval style neon sign with flashing motion, comes with a control switch on/off flasher option. Custom Flashing Neon Indoor Sign Dimensions: 17''H x 30''W. Custom Jet Ski Design Oval Neon Indoor Sign. Oval style neon sign with flashing motion, comes with a control switch on/off flasher option. Custom Flashing Neon Indoor Sign Dimensions: 17''H x 30''W. Custom Kayaking Design Oval Neon Indoor Sign. Oval style neon sign with flashing motion, comes with a control switch on/off flasher option. Custom Flashing Neon Indoor Sign Dimensions: 17''H x 30''W. Custom Kite Design Oval Neon Indoor Sign. Oval style neon sign with flashing motion, comes with a control switch on/off flasher option. Custom Flashing Neon Indoor Sign Dimensions: 17''H x 30''W. Custom Margarita Glass Design Oval Neon Indoor Sign. Oval style neon sign with flashing motion, comes with a control switch on/off flasher option. Custom Flashing Neon Indoor Sign Dimensions: 17''H x 30''W. Custom Marlin Design Oval Neon Indoor Sign. Oval style neon sign with flashing motion, comes with a control switch on/off flasher option. Custom Flashing Neon Indoor Sign Dimensions: 17''H x 30''W. Custom Mermaid Design Oval Neon Indoor Sign. Oval style neon sign with flashing motion, comes with a control switch on/off flasher option. Custom Flashing Neon Indoor Sign Dimensions: 17''H x 30''W. Custom Parrot Design Oval Neon Indoor Sign. Oval style neon sign with flashing motion, comes with a control switch on/off flasher option. Custom Flashing Neon Indoor Sign Dimensions: 17''H x 30''W. Custom Pelican Design Oval Neon Indoor Sign. Oval style neon sign with flashing motion, comes with a control switch on/off flasher option. Custom Flashing Neon Indoor Sign Dimensions: 17''H x 30''W. Custom Scuba Diving Design Oval Neon Indoor Sign. Oval style neon sign with flashing motion, comes with a control switch on/off flasher option. Custom Flashing Neon Indoor Sign Dimensions: 17''H x 30''W. Custom Sea Horse Design Oval Neon Indoor Sign. Oval style neon sign with flashing motion, comes with a control switch on/off flasher option. Custom Flashing Neon Indoor Sign Dimensions: 17''H x 30''W. Custom Shark Design Oval Neon Indoor Sign. Oval style neon sign with flashing motion, comes with a control switch on/off flasher option. Custom Flashing Neon Indoor Sign Dimensions: 17''H x 30''W. Custom Snail Design Oval Neon Indoor Sign. Oval style neon sign with flashing motion, comes with a control switch on/off flasher option. Custom Flashing Neon Indoor Sign Dimensions: 17''H x 30''W. Custom Stingray Design Oval Neon Indoor Sign. Oval style neon sign with flashing motion, comes with a control switch on/off flasher option. Custom Flashing Neon Indoor Sign Dimensions: 17''H x 30''W.